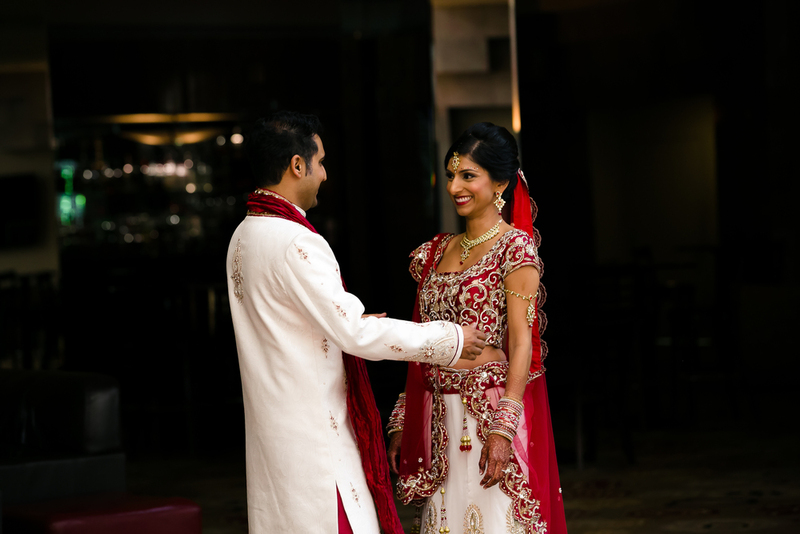 We absolutely love the traditions, festivities and beautiful elements that are on display during Southeast Asian Weddings. We strive to capture each element throughout the day while making sure everyone is relaxed and enjoying the day. Sometimes our couples decide to do a first look at each other before the wedding day begins. 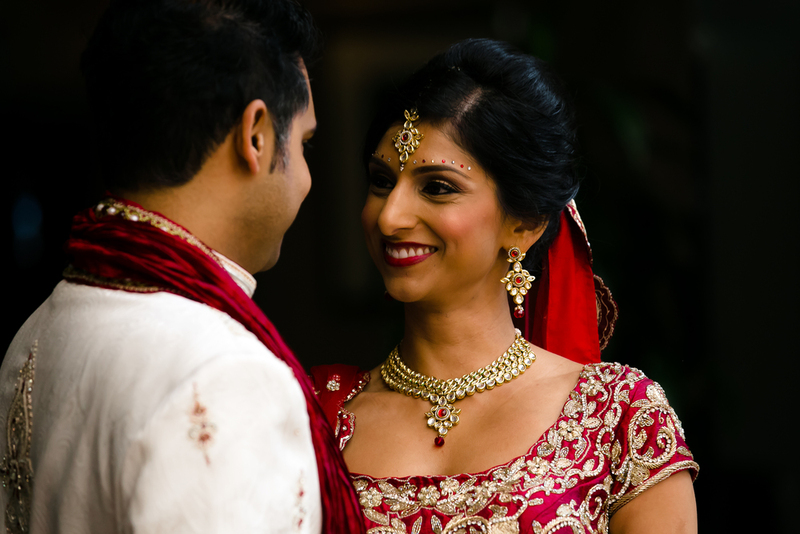 This allows the bride to show her beautiful saree and jewels to her soon-to-be groom. 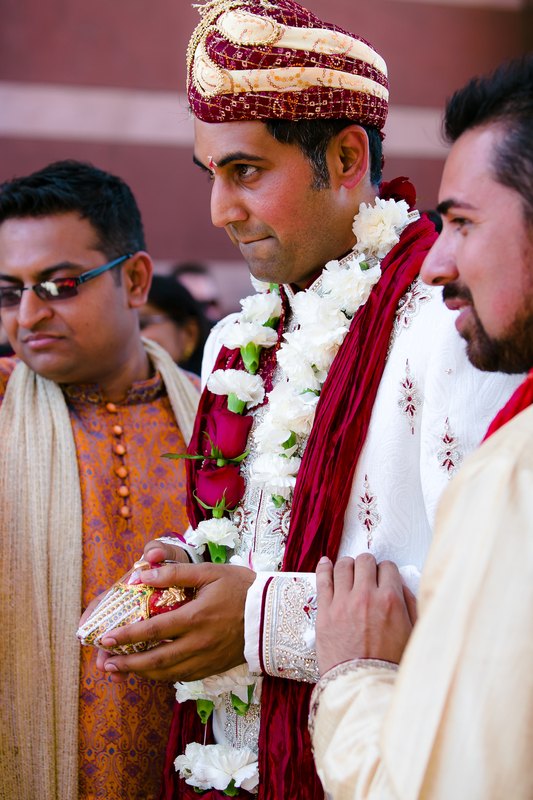 During the baraat and aarti is when the day begins to unfold and everyone is excited as the groom, his family and friends make their way towards the wedding venue with music, dancing and celebration. The groom receives his blessing from his bride's mother to welcome her son-in-law into their family. 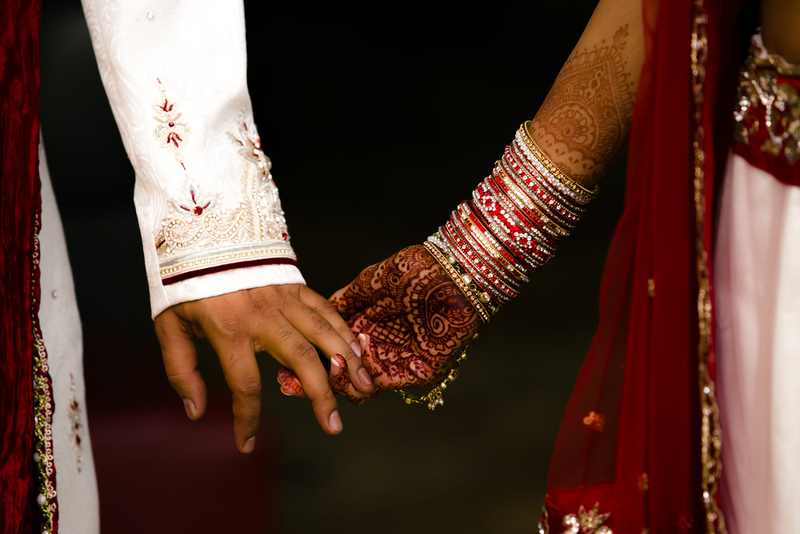 The mandap is the focal point of the wedding ceremony where the bride and groom will exchange garlands, vows and complete the sanctified rituals. 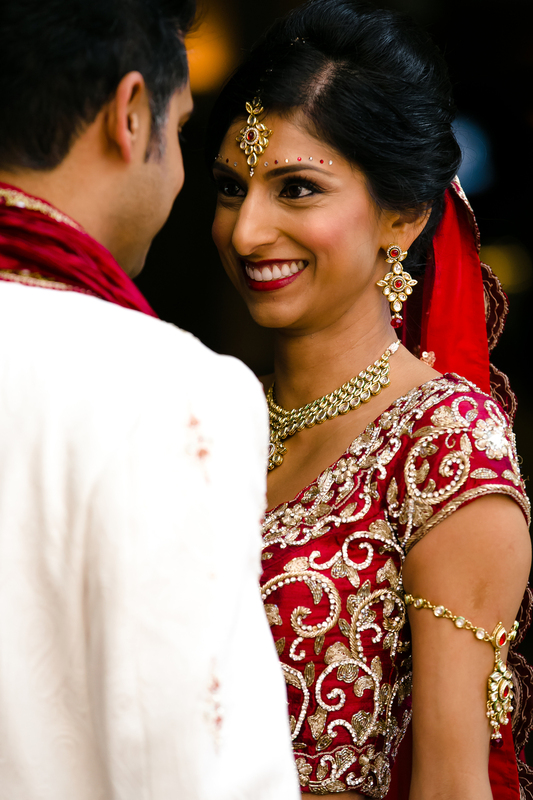 As the newlyweds have become one, they leave the mandap and are showered with blessings and gifts from family and friends. This can be the most exciting part of the day as everyone is eager to give the couple their best wishes and watch them leave together. 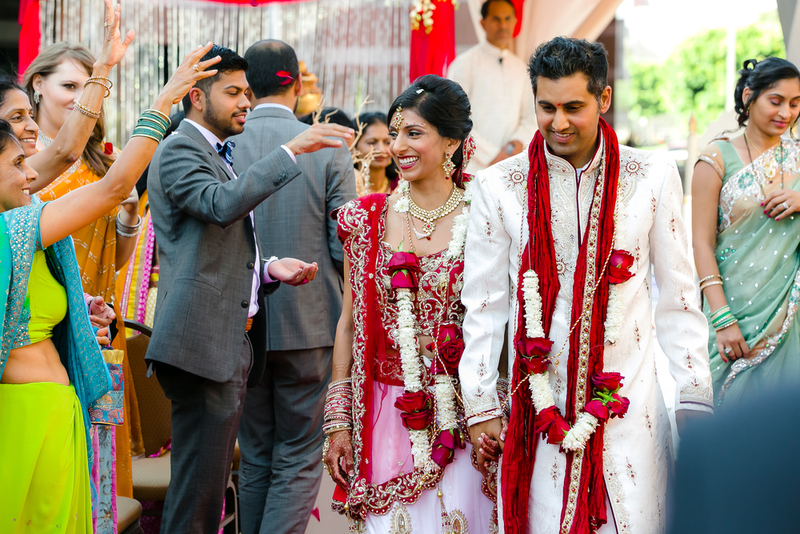 Once the official ceremony has ended, the wedding reception is reserved as a grand party for both families and their guests to come together and celebrate the marriage of their son and daughter. Everyone is so happy, the celebration with music and dancing normally lasts long into the night. Please fill out the quick form below so we can discuss your wedding plans!